Hotels and the hospitality industry face the very real danger of becoming a commodity. This Harvard Business School video reviews some of the danger zones facing leaders today. Management thought leaders share their ideas on how leadership goes wrong. Featuring: Bill George, Evan Wittenberg, Dr. Ellen Langer, Andrew Pettigrew, Gianpiero Petriglieri, Carl Sloane, Jonathan Doochin, Scott Snook, and Daisy Wademan Dowling. Do you really know all the answers and options, or could the right input from external sources make the difference between adequate and GREAT? “CEOs who don’t use outside advice run the risk to internalizing too much. They never realize their full potential, and they miss a lot of opportunities.” George Clement, CEO Clement Communication, Inc.
A person’s attitude often is the main difference between success and failure. The Problem may be one that is caused by the individual, the supervisor or manager, the organizational culture or some additional external factor. In this video, perspectives are examined and there are lessons for all of us, especially in the hospitality field that faces the stress of the “always open”, 24/7 reality. 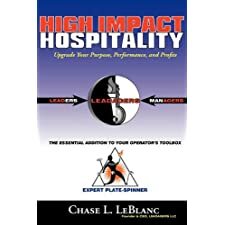 Chase LeBlanc has delivered an excellent message for managers at various levels in his book that is packed with excellent background materials and facts for those in the hospitality field. Chapter one offers a fresh perspective as LeBlanc introduces the concept of the word “leadager”, which is a combination of leader and manager. The author asks solid questions if one can be a competent manager without being a leader and vice versa. He stresses that it takes a certain type of manager to apply themselves to be a great leader. Chapters eleven and twelve cover the universal appreciation, frustration and satisfaction that can be found when one becomes the real manager or Leadager of a successful operation. Too small a budget to find new marketing approaches, or are there options? We have all seen good ideas at various business we interact with, yet we seldom think about ways we might make them work at our hospitality businesses. 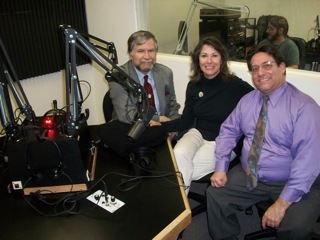 The following is one of dozens of videos that are part of the learning process at HospitalityEducators.com. Ritz-Carlton’s Succeed through Service program, in partnership with America’s Promise Alliance, is focused on helping children better prepare for college, work and life. At Ritz-Carlton properties across the U.S. and around the world, our employees are mentoring young students in necessary life skills and engaging them in service-learning and career exploration.Employees are inspiring the children to embrace concepts, such as teamwork and environmental responsibility, and introducing them to necessary life-skills, such as social skills & etiquette. Partnered in service-learning projects to benefit the local community, together they are tackling challenging issues including hunger and homelessness, child literacy and environmental conservation. The record of The Ritz-Carlton “Succeed Through Service” program can be seen in comments from youngsters who have participated in workshops, listened to life skills discussions from hotel mentors, and now look forward to reaching their potential with encouragement from this volunteer outreach campaign. Hospitality and tourism arguably make up the world’s largest industry. They play a major role in the world economy and contribute significant revenues and net wealth to many countries. When we think about it, we recognize that many components of hospitality are based heavily on the personal, “high touch” side of life. It was a number of years ago that I first learned anything about hotels and hospitality when a high school friend’s family bought a seasonal resort. That family did not remain in the industry, but I learned from another family of hoteliers in that same location about the many disciplines in hospitality. 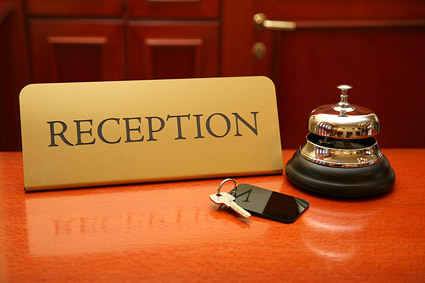 While much has changed in hospitality, on reflection we still note that the experience element of hospitality depends not on the size or ownership of a hotel or restaurant, but on the personal, “high touch” delivery individually provided by hospitality staff to guests – one on one. I recall somewhat “bragging” to the founding partners of the family business mentioned earlier how much I was learning at the large multinational hotel company that had hired me out of hotel school into a management training program in their 1500-room flagship hotel. They smiled and said that I could learn from the major companies how to follow the large company rules and be part of a major corporation, but I probably would not learn how to be a host or a real innkeeper profitably. 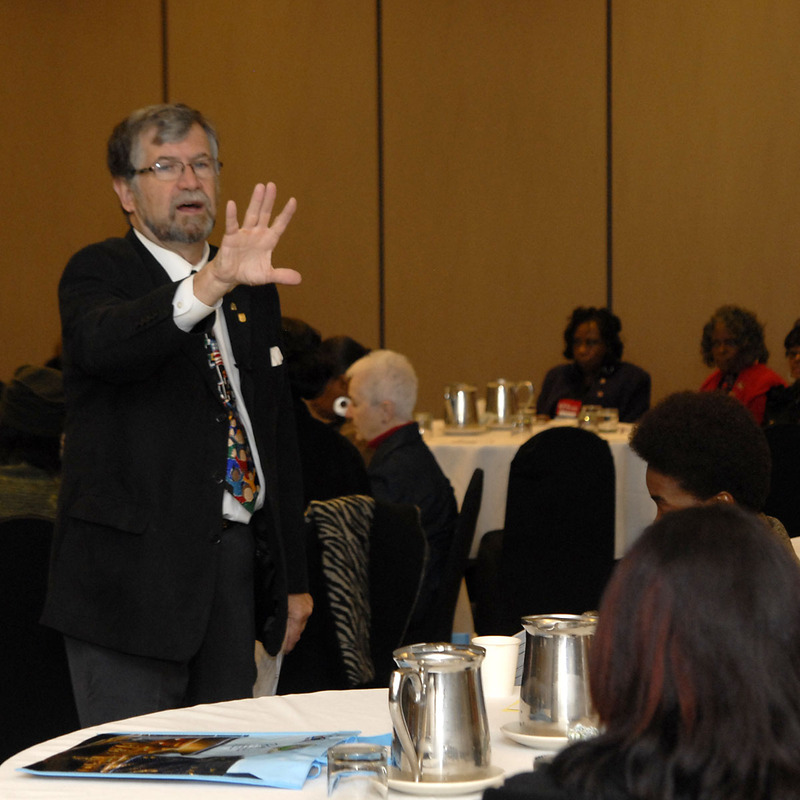 Those skills and competencies would be developed through time and hands-on experience. I gained what I felt were incredibly important perspectives and experiences in those seasons and something else that I feel I did not learn at university or at big corporate hotels, either. That something was the need to apply innkeeper and host common sense to formulas, percentages, calculations and protocols. Many brands today have customer service programs and some are quite good in their advertising value and in general guest satisfaction. Those programs may or may not exceed the guest’s expectations or hopes and that is why it is so critical for hospitality associates to truly “care” about their guests. It remains up to each individual hotel associate to deliver that exceptional “one-on-one” experience. The American Hotel & Lodging Educational Institute has created a new guest service training program that shows employees and properties how to achieve a new standard of exceptional service based on emotionally engaging with guests in memorable ways. The Guest Service Gold Program features a video with seven brief stories–based on true stories of award-winning guest service-focusing on the emotional elements used to motivate and inspire hotel employees to ‘go for the gold’ when it comes to providing service above and beyond guests expectations. This training can be delivered in two hours, and includes: a DVD, pre-shift lesson plans, one trainer’s guide, and five participant workbooks. It covers the topics of Authenticity, Intuition, Empathy, Champion, Delight, Delivery, and Initiative.